FrontlineSMS is a cloud & Android-based SMS management and automation software. Our software started out as an open source, desktop-based SMS management app 11 years ago and has since evolved into a powerful, flexible and highly configurable cloud-based messaging automation platform backed by a mature rule engine with flexible APIs. For 11 years, thousands of people, organizations and companies have used our platform to save money and lives, educate children, lead communities and optimize hospitals. We love working with our platform users every day across the world for various use cases and automations. That’s where we want you, our new Software Developer to come in. 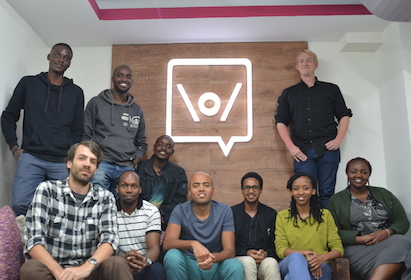 We are looking for someone who is experienced in software development and is passionate about technology to join our very talented team of developers in taking our powerful platform to the next level. You will be part of the development team based in our Nairobi office and report directly to the CTO. You will be involved in both taking lead and being part of weekly backlog grooming sessions, picking up tickets waiting for development on the Kanban board, performing quality assurance and code review of tickets worked on by developers in the team and comprehensively noting down findings in our issue tracking software – Jira. We are very big on teamwork and communication is therefore of the essence. Proactively take part in supporting the platform – as well as its users, and in the identification and development of new features. Platform improvement by logging any issues and/or bugs found during development. Occasionally take lead in our rotational sprint-deployment process. Actively take part in our process-improvement exercises by logging retro-points to our retrospective board. Mentor new employees and apprentices in the development team. Occasionally take lead in technical documentation, regularly updating existing ones. Learn, support and build onto our existing DevOps technologies and processes. Actively participate in communications on Slack. You're a model team player - You like to ask questions, as well as answer them with the knowledge that this will ultimately contribute to the team’s success. You are curious and innovative – as part of the culture, we have end-of-sprint 10% days to encourage our development team to work on their ideas and innovations outside of the sprint work. You are open and willing to learn – our platform is powerful and complex as it has undergone years of development to constantly improve it. It is therefore a requisite for any new team member to spend time learning it. Anything that you feel will help you stand out from the crowd! LOVE THIS ROLE BUT NOT RIGHT FOR YOU? Networks are powerful and we’d love to reward anyone who shares this job advert with someone that is perfect for this job. If you refer someone who joins us in this role we’ll say thanks with KSh50,000 when they pass their probation.